Everyone deserves a little pick-me-up once in a while. Whether you're stressed about work and the kids, or are just feeling a little down because of the weather; a relaxing and rejuvenating massage or treatment may be just what you need! Alternatively, if you're feeling tight and sore and need to feel a little more inline with your body, mind and soul - then a Chinese massage or remedial massage may be more down your alley. South.Point is lucky enough to have various massage treatment businesses that can cater to your various health needs. Take a look at their offerings below! 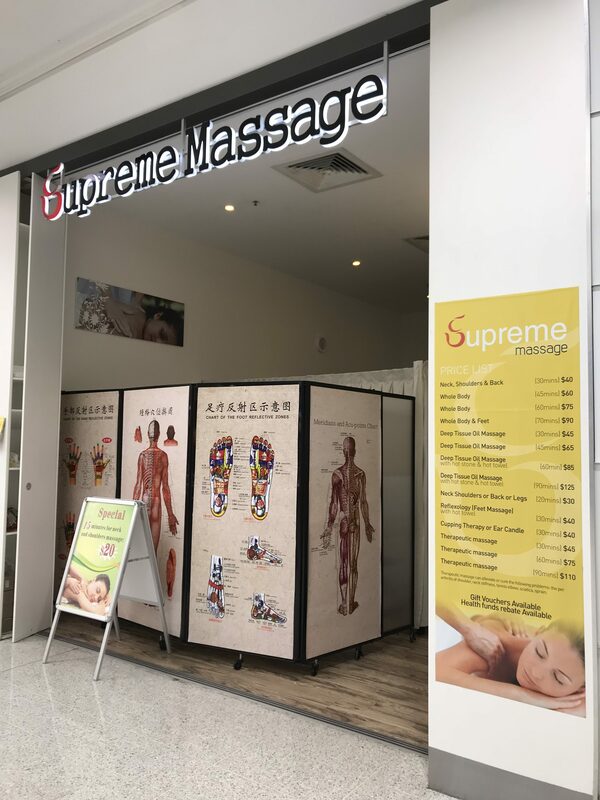 Supreme Massage, located on the Upper Level next to Kmart, is a well known Remedial Massage Therapist service. This is the place to go if you are in need of a more intense massage treatment, and is especially good for if you have back, neck or shoulder issues. There treatments range from whole body, to back, neck and shoulder, as well as Deep Tissue massage, and Therapeutic massage. Their Deep Tissue massages also feature the use of hot stones and hot towels, to elevate your experience. They also offer Cupping Therapy, which is an ancient form of alternative medicine in which a therapist puts special cups on your skin for a few minutes to create suction. Many people get this sort of treatment for many purposes, including to help with pain, inflammation, blood flow, relaxation and well-being. Alternatively, if you're looking for a quick pick-me-up, then their Reflexology (feet massage) for 30mins is another great option. 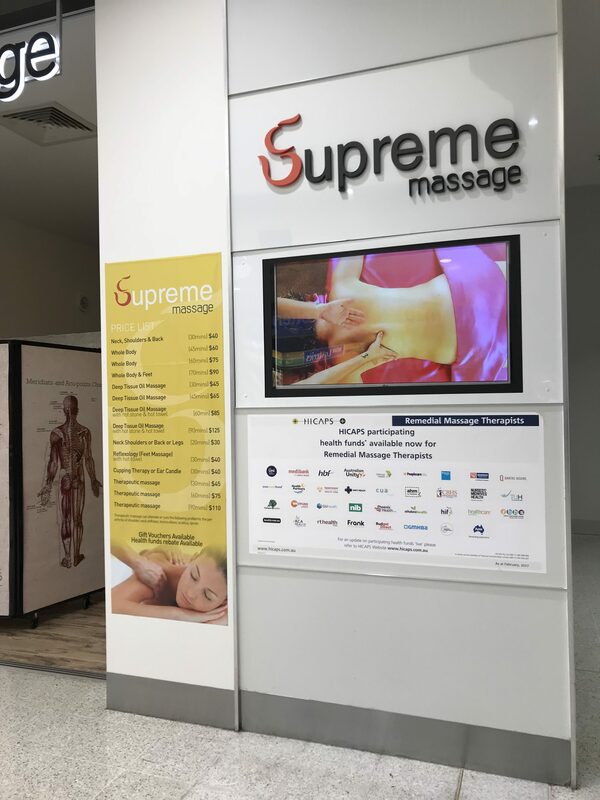 Supreme Massage also have gift vouchers available, as well as a health fund rebate - which is great for those that need treatments for injuries etc. If you're looking for the ultimate way to relax, then book in for a massage treatment with Elegant Image. 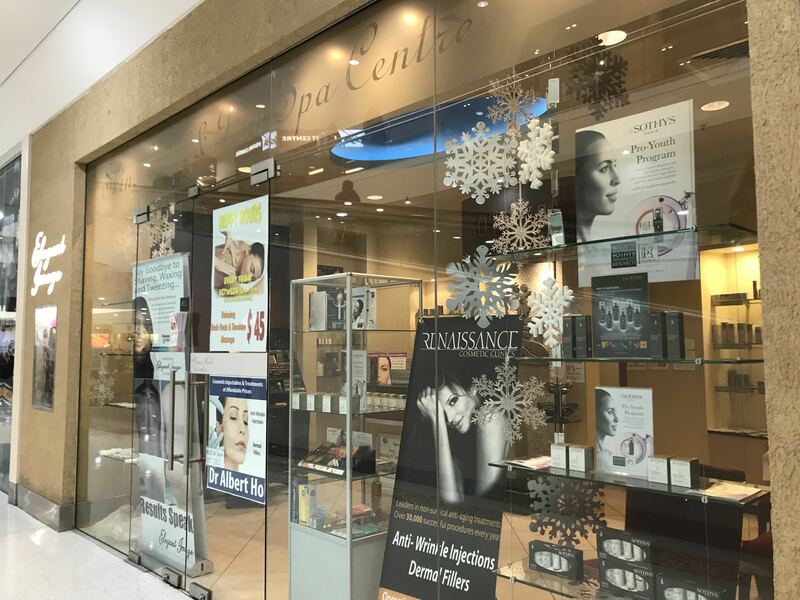 The Skin Body & Day Spa Centre located on the Ground Floor uses state-of-the-art equipment and industry leading products for all of the services they offer. Elegant Image is a true Day Spa, unlike the bulk of salons that incorporate Day Spa or Spa into their names, they provide a range of hydrotherapeutic (water-based/wet room), beauty, skin care and fitness treatments. They offer several types of stand-alone massages that include Back, Neck and Shoulder massages (a great pick-me-up for those times you quickly need some relaxation and stress relief), or a full body massage that de-stresses your body whilst loosening it to leave you totally relaxed and ready for anything that may come your way! Hot Rock Massage - This Aromatic Stone Therapy transports you to a renewed sense of relaxation and well-being. Your experience includes a total body massage using a sensual blend of oriental spices infused with Balinese Stones in a hot aromatic Granita with Marula oil. Aromatherapy Massage - The ultimate in de-stress and relaxation therapy. With their standard deeply relaxing full body massage they add a selection of essential oil complexes for that sublime aromatherapeutic experience. 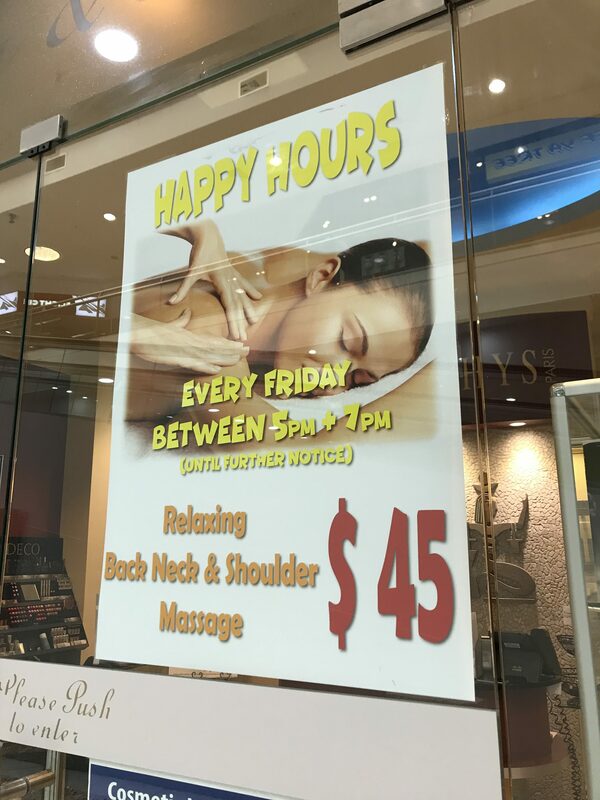 Every Friday they offer their Happy Hour special between 5pm-7pm which is a relaxing back & shoulder massage for just $45! Now wouldn't that be the perfect way to end a long day at work and welcome in the weekend? 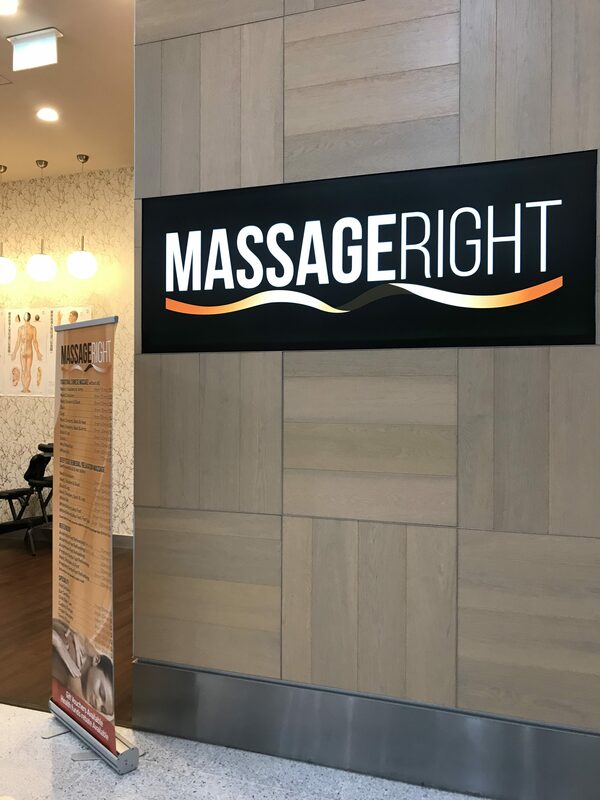 Formally known at Why Knot Massage, Massage Right is the right place for all your massage needs. 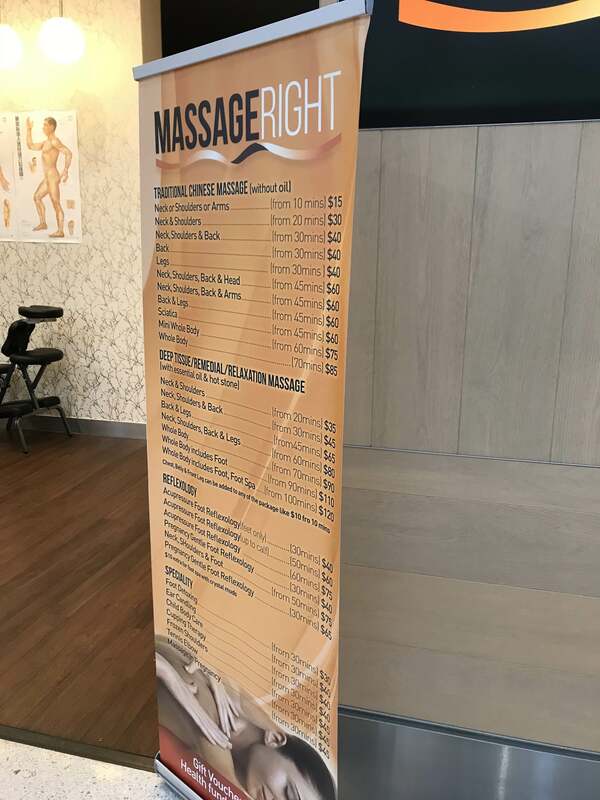 Located on the Ground Floor, Massage Right have a great range of massage specials available, depending on your requirements. From Traditional Chinese massage on the neck, shoulders, back, legs or whole body to Deep Tissue, Relaxation and Remedial Massages using essential oils and hot stones, it is here where you will find a variety of treatments for your needs. Massage Right also offer Reflexology treatments, as well as Pregnancy Gentle Foot Reflexology - which we're sure every pregnant woman would love! They also offer speciality treatments ranging from Foot Detoxing, Ear Candling, Cupping Therapy and even Tennis Elbow treatments too! Gift vouchers and health fun rebates are also available. So whether you're looking for a way to relax, or need to sort out a few aches and pains - book in for one of these treatments today! For more information on these therapists, please visit our website.